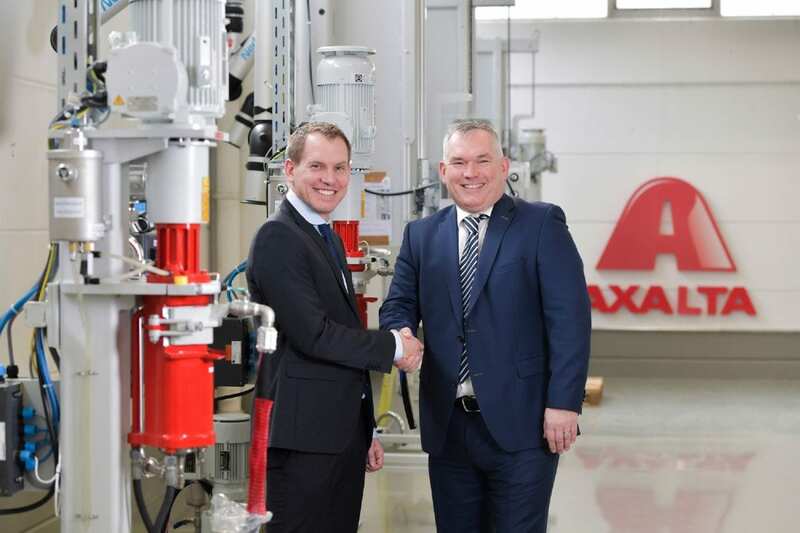 Axalta Coating Systems officially opened its Axalta Colour Solutions Centre in Frankfurt, Germany at the end of February 2018. Built to serve industrial customers in Europe, the Middle East and Africa (EMEA) and is designed to allow fast, agile production and provides Axalta customers with even more flexible and tailored service from a central European location. The Axalta Colour Solutions Centre will supply Axalta customers with small batches of its industrial liquid paint brands including: PercoTop products for applications that range from trailers and machinery to doors and window frames, Viter products for general industrial and agricultural, construction and earthmoving equipment, Acothane polyurethanes for internal and external pipeline coatings and Corroless coatings for highly effective corrosion control on a range of steel structures. The new Centre will boast 1,300m² of warehouse space and 700m² of shop floor. For more information on Axalta and the Colour Solutions Centre, please visit: www.axalta.com/coloursolutionscentre.